This shawl was another commission from the delectable Ms Caris Jackson. It was a very specific brief. 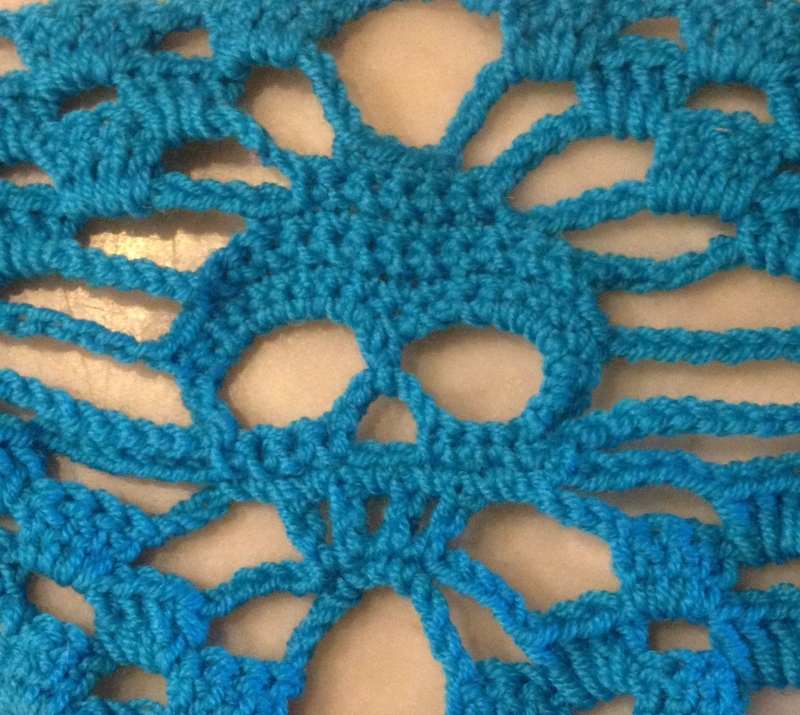 A skulls shawl, in turquoise Merino to match the wedding bouquet and bridal petticoat. She wanted something to throw around her shoulders in the evening if it got a little chilly. Caris has a particular thing for the Mexican day of the dead and the skulls motif. Funnily enough, I had already downloaded this pattern from Ravelry with Caris in mind, so obviously it was fate! Caris and her partner Steve are also passionate about animal rights but had asked for Merino, which doesn’t have a very good animal rights record. Australian merino, which dominates the yarn market, is often from sheep who are subject to to the brutal practice of ‘mulesing’ in which the tails of the sheep are cut off to prevent fly strike. I did quite a lot of research and found that Drops merino is from South American and South African free-range merino and is Oeko-Tex® certified, which ensures that the yarn has been produced to a high environmental standard without the use of harmful substances. I found it difficult to find out information about ethical sourcing of Merino but I think that this is pretty good whilst also being affordable. I love Drops yarn by the way. I think it is brilliant that they take the time to let you know where their products are sourced and how they are made, whilst also keeping prices really very affordable. 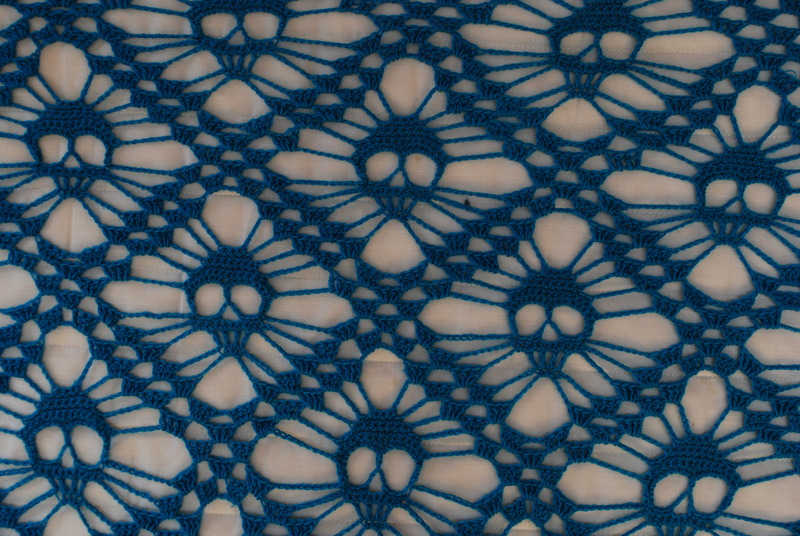 So, the skull shawl pattern is available free from Ravelry by Kungen Och Majkis. It is from a blog post originally in Swedish with some English translation. There is also a pdf chart you can download but this has Japanese annotations! All in was a tricky little b3^%$d of a pattern to get my head around! It is a 16 row pattern and all of them are different!! I didn’t enjoy it very much, if I am honest, because I had to frog it so many times. However, I was very pleased with myself when I finished it, and though I probably wouldn’t choose to wear skulls myself, it is so Caris and I knew she would love it. She didn’t actually wear it at the wedding, we were far too busy dancing and enjoying the ever flowing prosecco to worry about chilly shoulders. Never mind, she has worn it since and tells me that she will definitely wear it many times into the future.